It is not often that someone who has been shot in the leg later ends up the victim of a homicide. But such is the case in a shooting of a man on his front porch in Wylam this past August. The 36-year old victim and witnesses were inside the screened in porch of the victim’s home playing video games. Then, some kind of argument broke out and then there was gunfire. An estimated 15 to 20 shots were fired — in the home as well as into the victim’s car, a BMW SUV. The vehicle’s windows were shattered and one tire was left flat. The victim ended up hit by a bullet in the leg and was subsequently taken to the hospital with apparently non-life-threatening injuries. Unfortunately, according to the coroner, the bullet that struck his leg ended up traveling from the leg to his lower abdomen where it caused organ damage. The Wylam man was released from the hospital but still remained under medical care. Then, in September, when getting ready to leave his home to go to the doctor, he collapsed. The victim was again taken to a hospital where he was pronounced dead. Usually, doctors are the ones best equipped to recognize and handle sepsis. The condition affects at least 75,000 adults a year but there have been cases where medical professionals have missed the diagnosis. The problem falls during the early stages of sepsis, where the symptoms are similar to those of a viral infection. Viral infections tend to go away on their own, making it hard to decide if a patient should be allowed to go home or if that patient needs to promptly be hospitalized. Sepsis is an unforgiving condition but this does not mean doctors or medical professionals cannot be held accountable for misdiagnosis. In the recent case of the Birmingham man shot in the leg, it might not be immediately apparent but the family of the man could have a potential lawsuit worth filing — either for wrongful death or for medical malpractice. 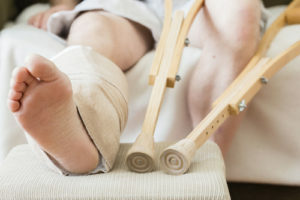 If you or loved one has suffered because of the negligence of a medical professional you should seek out the guidance of an experienced personal injury lawyer. At the Liddon Law Firm in Alabama, we are experienced in personal injury and medical malpractice litigation. Call 205-900-3770 or fill out our convenient online contact form to begin discussing your legal options today.